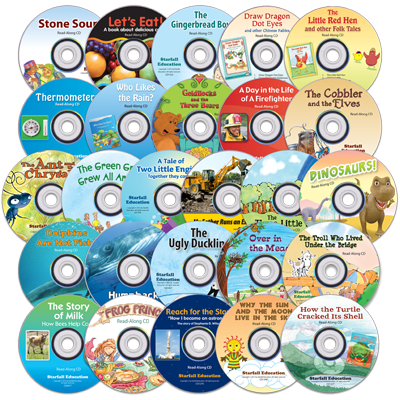 You can listen to audio CDs for many of our written fiction and non-fiction books! Our Starfall Read-Along CD Set has 26 audio CDs spanning three categories of beloved Starfall books: fairy tales, folk tales & fables, and nonfiction informational books. These books are available for purchase in the Starfall Store. Pick up your set today and listen along with your child! 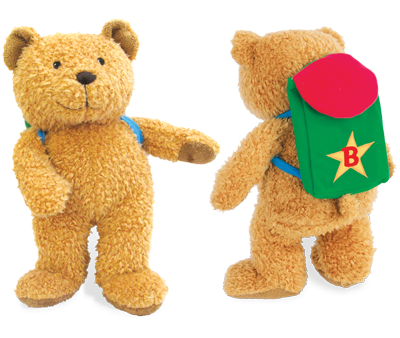 Your child can have his or her very own Backpack Bear at home! You can create personalized messages from Backpack Bear to your child using the Backpack Bear’s Messages custom printable and then place the message in Backpack Bear’s backpack. Your child will love having Backpack Bear at home! Starfall is including five new chapter books in our new Kindergarten ELA 2nd Edition curriculum. 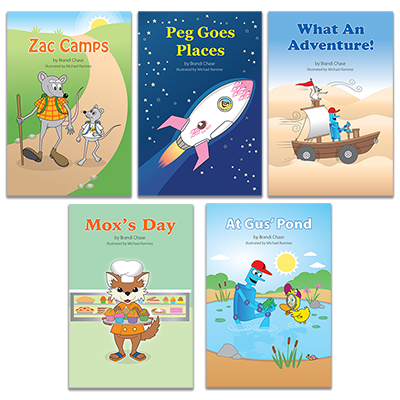 These are higher-level decodable stories ranging from 0.5 to 1.5 reading level. Available in our Starfall Store on May 23. Teachers love them! “My kids just love the new chapter books! My high kids have read all of them independently. My on level plus kids just finished reading Zac Camps independently. Not using our curriculum? You can still purchase all our curriculum items individually at the Starfall Store. Visit today for more information.